With nearly 40 years of expertise in aerospace and avionic systems, Ex-Eltronics has become an indispensable part of the supply chain for many of its civil and defence aerospace customers. 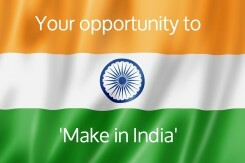 Our exclusive representation with AS9100C approved Miracle Electronic Devices offers our Aerospace clients the opportunity to “Make in India” and their wound magnetics expertise and aerospace accreditation makes them a “magnet” to commercial and military aerospace manufacturers seeking to expand their business interests in India. Products manufactured by our other principals are used in a variety of aerospace / avionic applications. Staco Systems is the world’s leading provider of dependable cockpit solutions for illuminated panels, switches, data entry systems and sub-systems. SMC’s Transient Voltage Suppressors provide transient protection for cockpit electronics, engine, actuation and passenger cabin systems and on-board communications. Xensor supply Speed Sensors for critical aircraft applications and design and manufacture motion sensors for other flight and ground support applications. Since its acquisition in 1989, Midway has provided aftermarket supply chain management services to commercial airlines, MRO facilities and completion centers.